Rare Thread is a textile studio/collective conceived by Laura Miles and Kirsty McDougall and incorporates a team of designers and specialists including Ruth Greany, Stephanie Rolph, Sophia Fenlon and Hannah Auerbach George. The designers of Rare Thread work collaboratively on collections and projects as well as retaining autonomy on other aspects of their practice. 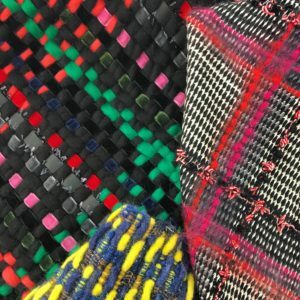 With combined experience in industry of 35 years, Laura and Kirsty decided to merge their individual creative studio businesses to champion hand and machine woven textile design and finishing for a broad variety of textile outcomes including Fashion, Interiors and CMF to Material Development and Trend. From their studio in Dalston, London- Rare Thread will celebrate, question and promote weaving in all its forms and contexts. The studio offers loom hire to emerging designers and industry and also offers support and advice to new graduates starting out in woven textiles. Rare Thread welcome projects and collaboration from the fashion, interiors and manufacturing industries, artists and scientists alongside organisations and individuals interested in developing sustainable textile solutions. Woven textile designers are often the hidden force behind many of the extraordinary textiles seen on catwalk. Between them Laura Miles and Kirsty McDougall have worked with Marc Jacobs, Valentino Couture, Calvin Klein, Balmain, Proenza Schouler, Chanel, Balenciaga, YSL, Erdem and Christopher Kane, to combine innovative material mixes and constructions. They have excellent global networks across yarn, material, woven manufacturing and finish. Woven fabrics surround us on a daily basis from the clothes we wear to our interior furnishings. They are applied in engineering, new material development, architecture and aerospace. Weaving is a method of textile production in which two distinct sets of yarns or threads are interlaced at right angles to create a fabric or cloth. The loom is a precursor to the development of computer programming and is a magical machine that combines colour, material and texture into infinite structural possibilities. Laura has worked in the field of woven textiles for almost 20 years via her company WOVEN studio. She has developed fabrics and consulted for fashion houses, interior brands and textile mills throughout the world. She was instrumental in developing the fashion collection for Vanners mill in Suffolk and is a specialist in jacquard fabric and construction. Laura’s strength is to act as the link between the inspiration of the client and the technical constraints of a machine or handwoven fabric. Laura is a highly adaptable designer and produces exquisitely executed fabrics in varied styles and contexts. Kirsty has worked in textile design for 15 years, beginning as a freelance designer for the fashion industry. She has also taught for many years on BA and MA courses and recent research projects include the application of new technologies to woven structures. Kirsty co-founded Dashing Tweeds in 2006, where she designs seasonal fabric collections and liaises with manufacturers. 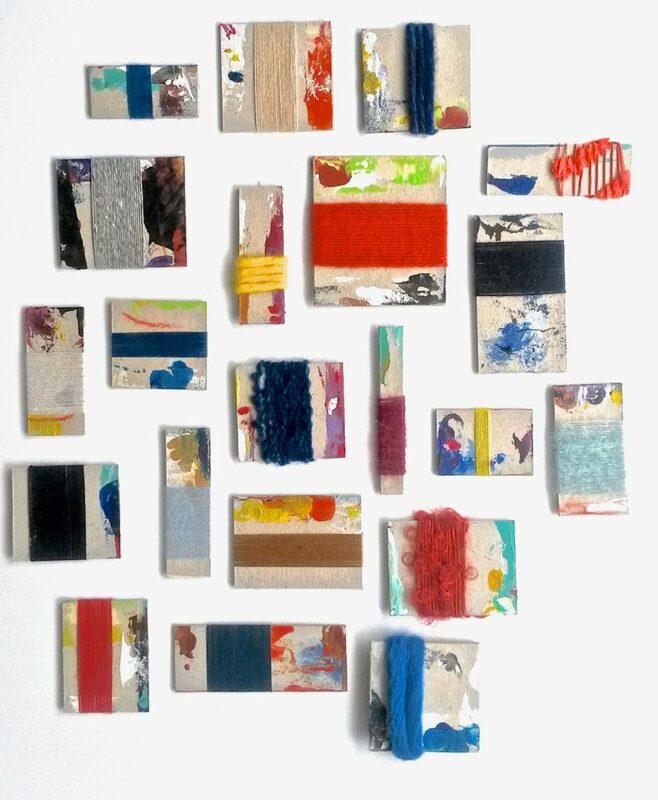 Through her previous studio she worked extensively with fashion designers on creative projects and has an expressive and painterly approach utilising multiple techniques and materials. Stephanie Rolph trained in textiles design at Central Saint Martins before embarking on her MA at the Royal College of Art. She takes an innovative and experimental approach to research and design and explores new materiality, texture and technology within the ever-broadening discipline of textiles. Since graduating Stephanie has worked within fashion, interior, performance-wear and automotive industries. Sophia Fenlon studied textile design for fashion at the University of Brighton before completing an MA at the Royal College of Art. A love of offbeat colour, contrasting textures and unusual material combinations transcends throughout her work to create playful, often subversive designs. 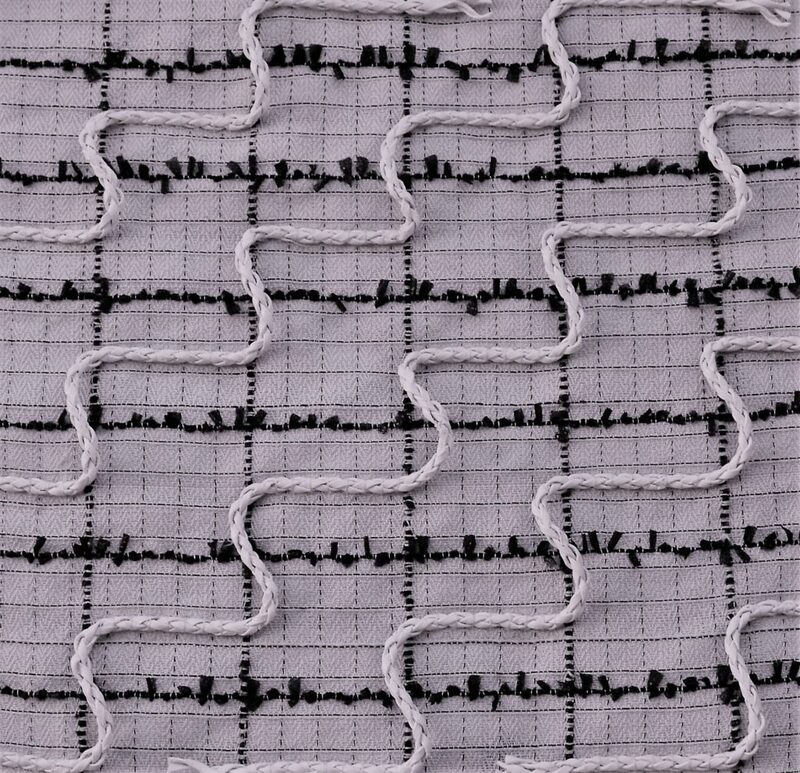 She utilises jacquard, dobby and mixed media textile techniques to translate her illustrative visual research into cloth. Sophia has a broad range of experience within the industry having worked in fabric sourcing, design and development. Ruth Greany has been designing and developing unique woven textile swatches for fashion and interiors for over 12 years. Although energised by variety and able to adapt to many qualities of warp, market level and client base, she is especially drawn towards intricate organzas, hand painted checks and dimensional structures. With a passion for research, an in depth knowledge of the industry and adaptable design skills, she has developed a reputation as a talented and insightful trend forecaster. She currently collaborates with and consults for several leading trend forecasting agencies. graduating, she worked for a luxury woven interior brand, developing design and manufacturing options. Hannah draws inspiration from Japanese design and utility wear and her work focusses on the adaptation of traditional craft techniques and fabric engineering. Hannah is an excellent technical weaver and problem solver with a passion for menswear, sustainable materials and manufacturing techniques. Rare Thread produce a seasonal collection of woven and multi process fabric swatches using carefully sourced yarns and materials to inspire their clients. These pieces can be bought as artwork or used as the starting points for further fabric development produced either by hand or industrial machines. Rare Thread have a wealth of experience in design development for a broad variety of clients. Projects range from trim and fabric development for the most renowned couture and fashion houses to developing bespoke interior products. 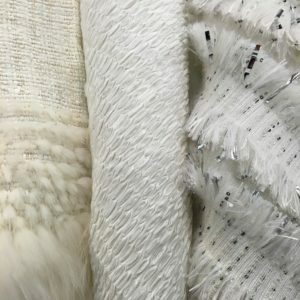 The studio is excellently equipped to produce handwoven meterage in a series of weights using materials such as feathers, fur, vinyl, paper and handmade yarns. They enjoy weaving with unusual materials and the challenge of making our clients fabric dreams a reality. They are experienced in working to very tight deadlines and finding quick solutions to manufacturing problems. The studio has the capacity and expertise to conduct experimental research using new materials and are open to collaboration with designers, architects, education, artists and scientists to find material solutions on all scales. Rare Thread have an extensive knowledge of yarn suppliers and textile manufacturers throughout the world that can be utilised depending on the requirements of the client. Rare Thread offer industrial production solutions for their clients, working with different weaving mills in the UK and throughout the world. Projects have included consultancy on sustainable production methods and waste reduction in fabric manufacture. A collection of fabrics available to buy by the metre is currently in development. This entry was posted on Monday, January 16th, 2017 at 3:28 pm	and is filed under Company Profile, General, New weave developments, News, Reseach. You can follow any comments to this entry through the RSS 2.0 feed. You can leave a comment, or trackback.